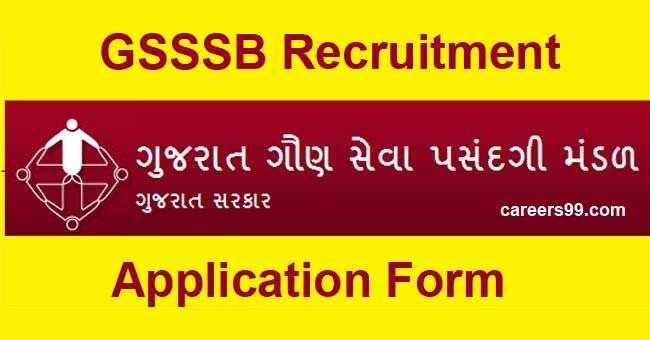 GSSSB Recruitment 2018 – Apply Online for Sub Inspector (SI) Posts: Gujarat Subordinate Services Selection Board (GSSSB) has advertised a notification for the recruitment of 433 posts of Sub Inspector (SI) vacancies. Eligible candidates can apply online from 19-11-2018 to 15-12-2018. Other details like age limit, educational qualification, selection process & how to apply for GSSSB Jobs are given below. Interested Job Aspirants who are ready to apply for Gujarat Subordinate Services Selection Board 2018 Notification must possess the below-given Eligibility Details. First of all, Open Official Website i.e., gsssb.gujarat.gov.in or Below Mentioned link from careers99.com Website. GSSSB Recruitment 2018 – Apply Online for Office Assistant, Clerk Posts: Gujarat Gaun Seva Pasandgi Mandal (GSSSB) has advertised a notification for the recruitment of 2221 posts of Office Assistant, Clerk vacancies. Eligible candidates can apply online from 12-10-2018 to 02-11-2018. Other details like age limit, educational qualification, selection process & how to apply for GSSSB Jobs are given below. Interested Job Aspirants who are ready to apply for Gujarat Gaun Seva Pasandgi Mandal 2018 Notification must possess the below-given Eligibility Details.